New Linden Hotel is a modern and luxurious 4 star boutique hotel with an incredible London location close to the very popular London area of Notting Hill. Our hotel offers guests luxurious accommodation in a lively part of London. As well this, our hotel is located close to a great selection of bars, restaurants and shops. New Linden Hotel London is also closely located to many public transport options including tube stations and our guests are within a 10 minute walk to Queensway Tube Station. To get to New Linden Hotel from Queensway Tube station, head north on Queensway towards Princess Ct and then turn left onto Moscow Road. Walk for a minute until you have to turn right onto Ilchester Gardens and then turn left onto Prince’s Square. Turn right to stay on Prince’s Square before continuing straight onto Leinster Square where you will New Linden Hotel. 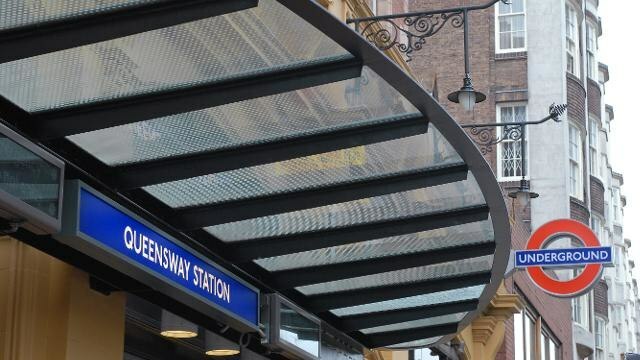 Queensway Tube Station is a stop on the Central Line and is situated right in between the boundary of Wesminster and the Borough of Kensington and Chelsea. Queenswater tube station can be found at the junction of Queensway and Bayswater and is across from the corner of Kensington Gardens. This tube stop in travelcard zone 1 and It is between Lancaster Gate which goes to the East and Notting Hill Gate which goes to the West.